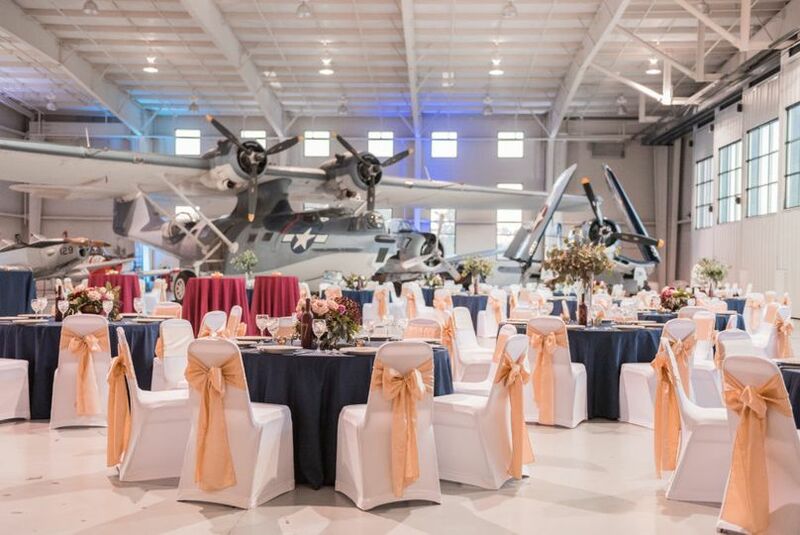 Located in Virginia Beach, Virginia, the Military Aviation Museum is a unique destination wedding venue serving all of Hampton Roads. 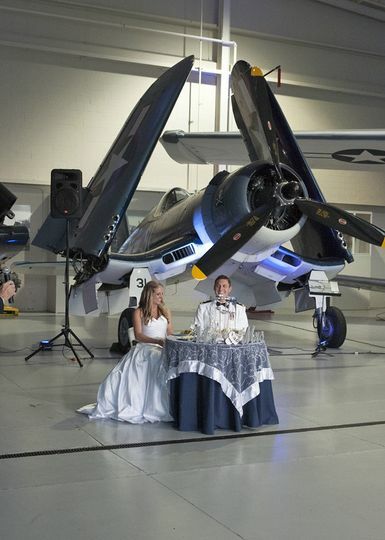 The Military Aviation Museum venues have been a part of the wedding scene since 2008. At the Military Aviation Museum, love is literally in the air, and the sky is not the limit. 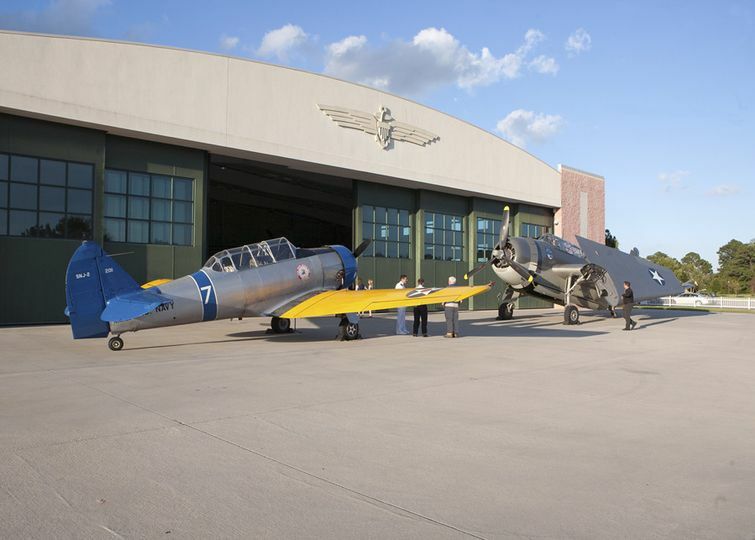 Here, couples can make their grand entrance surrounded by one of the museum’s unique planes. They boast one of the most extensive private collection of World War I and World War II military aircraft. The collection serves as the picturesque backdrop couples have been looking for. The museum offers various event spaces for couples to choose from, ranging from grassy lawns surrounded by a lake and lush farmland to hangers that can be decorated to couples’ tastes. The facility can hold up to 1,000 guests and is ideal for couples looking for a venue as unique as their love story. After exchanging vows in front of family and friends, couples can celebrate by dancing under the stars on serene lawns or in one of the unique hangers. 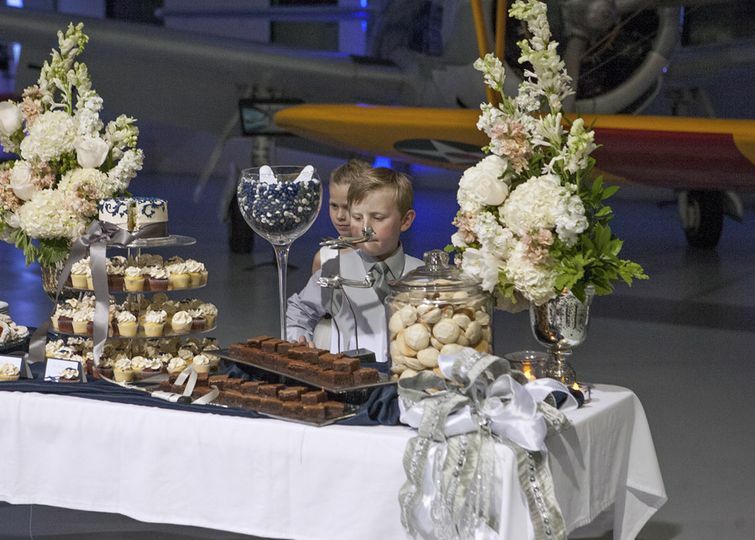 No matter the choice, the Military Aviation Museum is ready to help you create a memorable celebration no one will forget. For engagement parties, ceremonies, and receptions, the venue offers a unique backdrop. About four miles from the Atlantic Ocean, the Military Aviation Museum is surrounded by rural farmlands, the Jurassic Park - Metal Dinosaur Park, and more. The Virginia Beach oceanfront is a short 20-minute drive away and has plenty to offer, including restaurants, hotels and the boardwalk. Norfolk International Airport is only 22 miles away, making the joyous occasion easily accessible for all traveling friends and family. 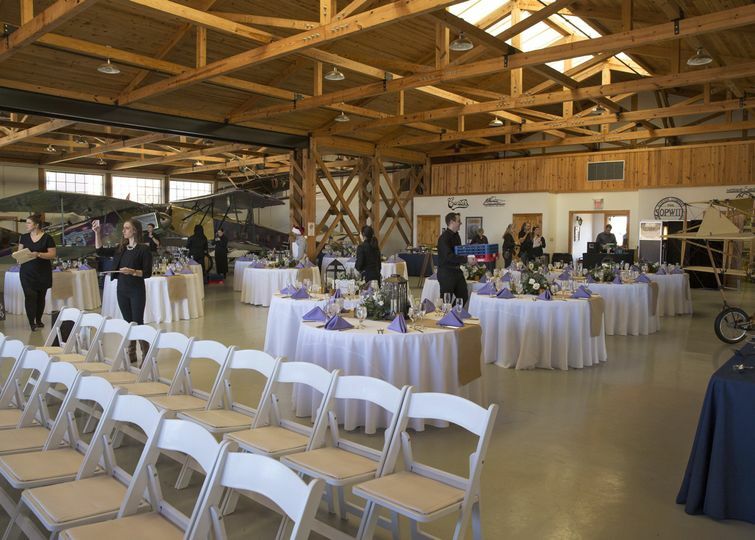 My husband, daughter, son-in-law and I were so very pleased with our choice to use the Military Aviation Museum for the wedding reception. Beginning with our first contact with the events coordinator to the end of the reception, everyone we were in contact with was very kind, attentive and accommodating . 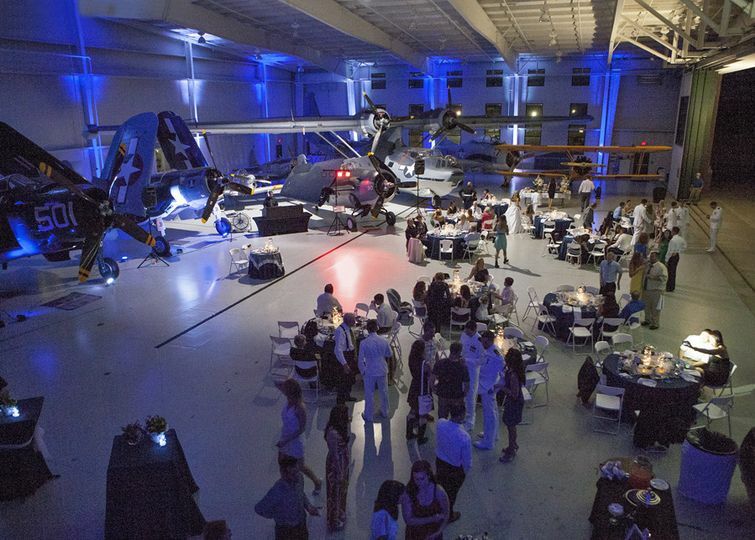 The hangar looked beautiful, our guests were so happy and had a fabulous time, and the bride and groomed did not want the evening to end. There was lots of room for guests to move around as the museum was opened to all. I highly recommend any type of event at the Military Aviation Museum. Fantastic venue. Management was very accommodating for everything that we wanted to have. 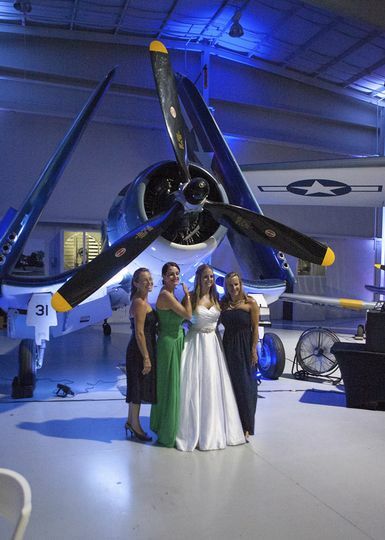 We are so glad we chose the Military Aviation Museum for our wedding reception! A friend of ours that lives down the street from it suggested that we check it out and as soon as we saw it we fell in love. Everyone there was so nice and helpful and the planes are really cool to have! The Military Aviation Museum’s annual Warbirds Over the Beach World War II airshow is right round the corner, with festivities kicking off May 17th. Historical aircraft, which have been meticulously restored to flying condition, will grace the skies of rural Virginia Beach throughout the weekend, but the entertainment doesn’t stop there. A variety of World War II era musicians, singers, and dancers will be on hand at the show as well, performing throughout the weekend. As the final notes of our National Anthem rang out, the roar of our B-25 Mitchell Bomber taking off down the grass runway filled the air heralding the start of another year’s Flying Proms. Music and eleven of the museum’s warbirds filled the sky with thousands of guests look skyward on a beautiful summer night in rural Virginia Beach. Six aviation themed compositions set the tone as music and warbirds choreographed a ballet across the warm summer’s evening sky. Come join us for this unique festival in the sky. Join us at the historic style buildings of the Military Aviation Museum, as we recognize the 1st World War. Go with us on a journey to the dawn of aerial combat and discovery where the term dogfight originated. The museum owns and displays dozen of aircraft from the first and second World Was and many will crowd the sky above for the weekend. Please come enjoy this event and see what our unique venue has to offer!